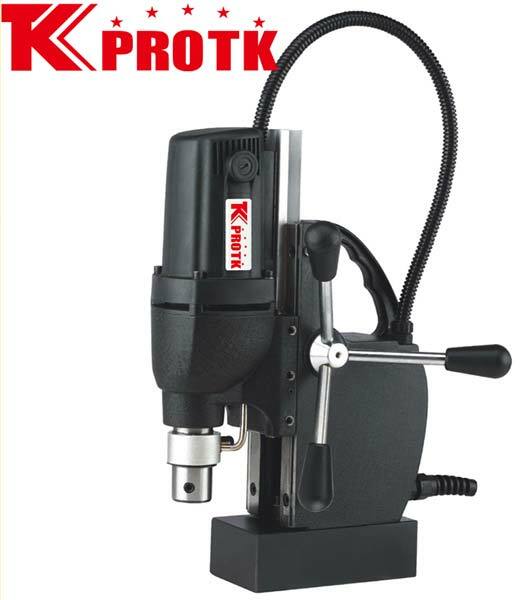 We are the most preferred manufacturer, exporter and supplier of excellent quality Magnetic Drill (TK-TYP-28) from Yongkang, China. Offered in plastic packages of 39.5*14.5*46cm, this Magnetic Drill offers a magnetic adhesion of 13000N. The Drill works on power specifications of 230V/50Hz/1200W & 120V/60Hz/1200W. The Drill comes with a 19mm spindle holder, 35 cutter depth and 550RPM no-load speed. This Drill has a net weight of 11.7KGs and is offered by us with an on-time delivery assurance.